This is the thought that follows from the one we practiced yesterday. You cannot stop with the idea that the world is worthless, for unless you see that there is something else to hope for, you will only be depressed. Our emphasis is not on giving up the world, but on exchanging it for what is more satisfying, filled with joy, and capable of offering you peace. Beyond this world there is a world I want. I choose to see that world instead of this, for here is nothing that I want. Then close your eyes upon the world you see, and in the silent darkness watch the lights that are not of this world light one by one, until where one begins and another ends loses all meaning as they blend in one. I slept for four hours last night and woke up this morning too excited, head too full of the new book to go back to sleep. Although I hadn’t planned to, I went to Fit Bootcamp this morning (I knew I wouldn’t be going to Ceroc as I was going to watch the Cuban Contemporary Dance company at the Hippodrome) and I need the exercise. There were no spare moments in my head today as every would be spare moment was occupied with thoughts and plans for the new novel. New possibilities presented themselves throughout the day. I was actually grateful that it rained for most of the day, staying in and slaving over a hot laptop was preferable to anything I could possibly have found to distracted me. I know this is right now. It took me 5000 words to find the right format, but I’m confident it will flow now. Back to the lesson. I’ve already seen a most beautiful world beyond this one, I know its there and it’s more real than this one. My way of getting there is by completing the things I came to do, and as writing is one of them, I’m getting on with it. Another of course is parenting, isn’t it great when one can kill two birds with one stone? 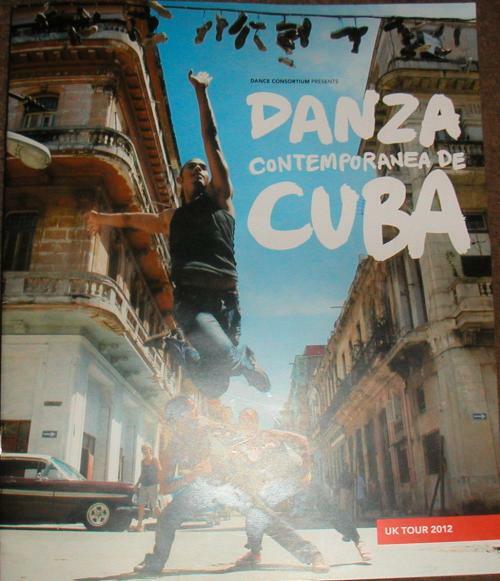 The performance by Danza Contemporanea de Cuba was spellbinding in places. Such energy, such grace. They moved like flowing water. See separate review in events review.